The Umbro Náutico Home 2015 Women Jersey is made of lightweight polyester with mesh strips on the sides for added freshness and performance. 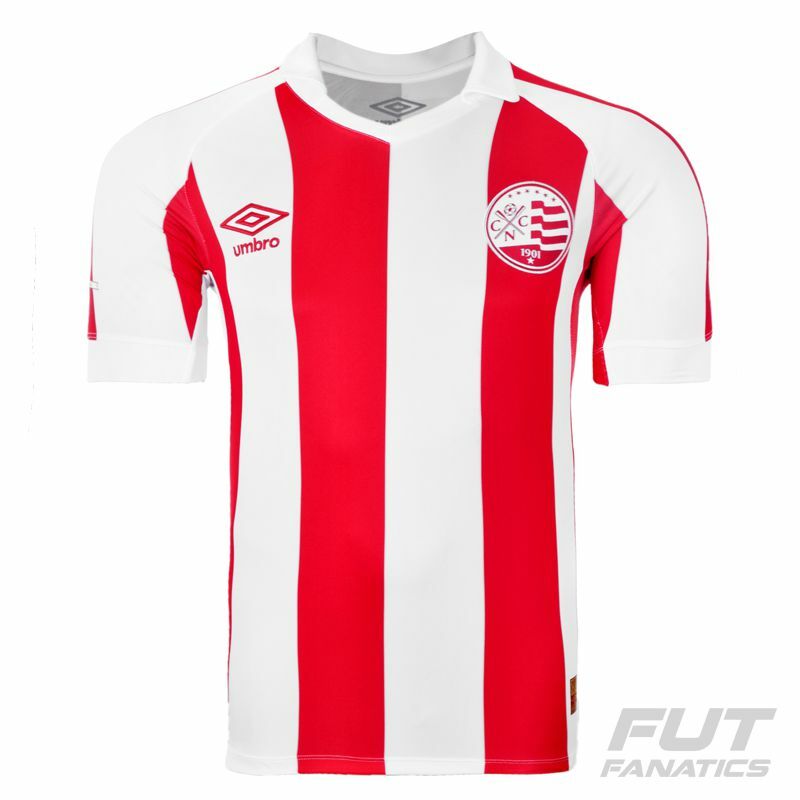 Features the predominant white color with red vertical stripes and club colors in the details. More info. The Umbro Náutico Home 2015 Women Jersey is made of lightweight polyester with mesh strips on the sides for added freshness and performance. 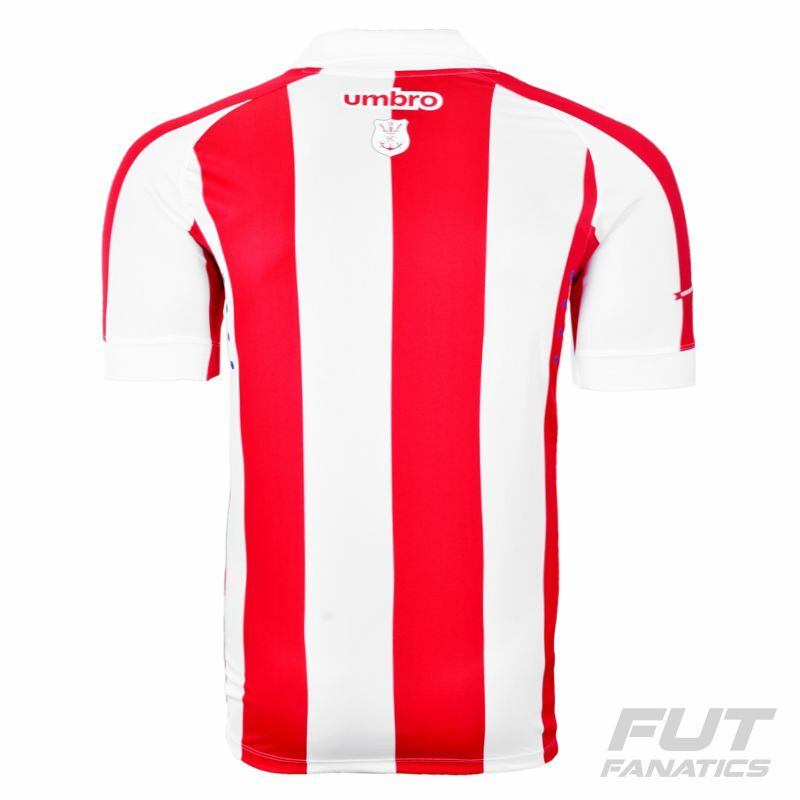 Features the predominant white color with red vertical stripes and club colors in the details. 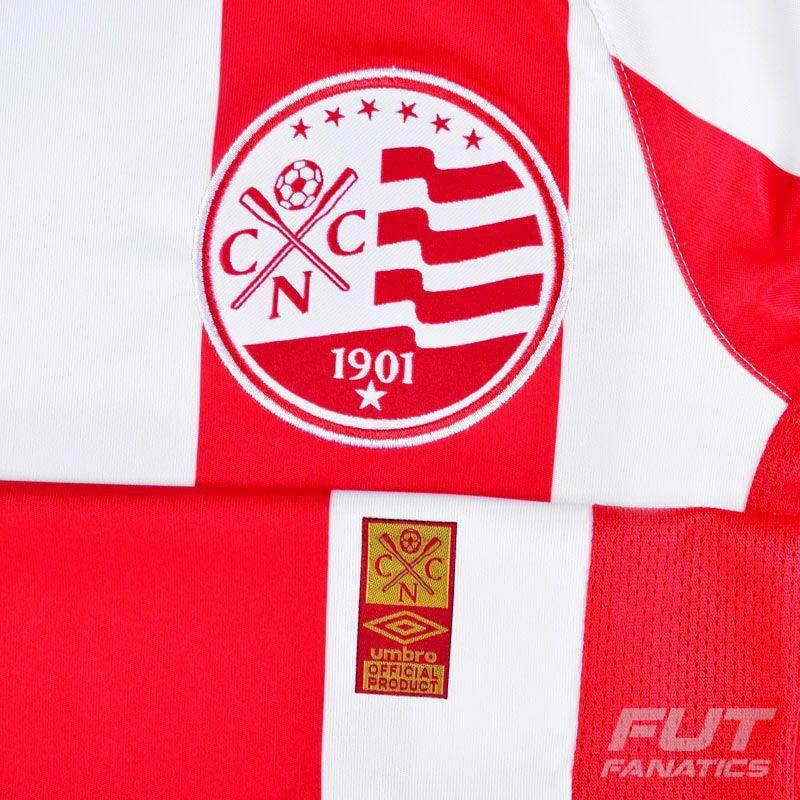 The right sleeve has a stripe that carries the words "Vermelho de luta, branco de paz" (Red of fight, white of peace). 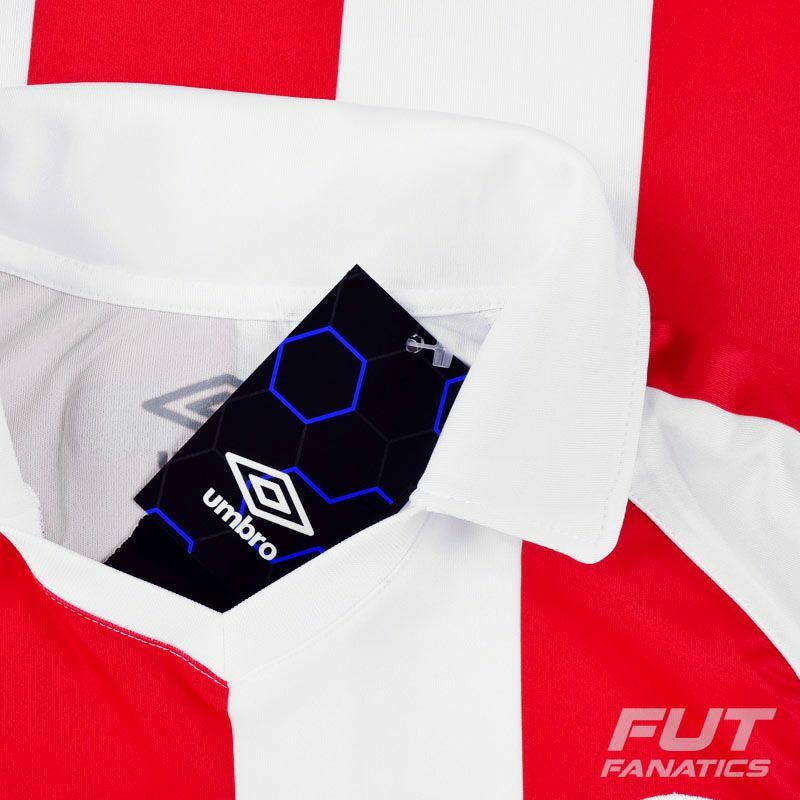 The team badge is embroidered on the chest, on the left side, as well as the Umbro symbol on the right side.